There is nothing more pure and powerful than an animal’s love. If you are not hitched this Valentine, then it may be only for your betterment. The stars want you to spend this day dedicated to love with your only true love- Your pet! So are you all set to celebrate Valentine’s Day with your pet? There are two things you could do for your pet on this 14th Feb.
Buy a great gift or treats for your furry friend. Ensure that your pawed companion remains healthy and happy all round the year with the help of us, Budget Pet World Team. How Budget Pet World can help you give optimal health solutions for pets? Budget Pet World is an online pet supplies store that constantly tries to deliver the most affordable pet care products at the doorstep of every pet owner around the world. We offer prominent treatments and supplements for canines, felines and birds. You may find the most opted brands for categories such as: flea & tick, heart wormers, dewormers, eye & ear care, joint care, teeth, etc. for both, dogs and cats. While you visit our site, don’t forget to have a look at our section of racing pigeons. We have a big collection of bird supplements at super affordable prices. Grab Best Treatments At 20% OFF- Ensure your pet’s heart beats healthily all along the year just like the kitty above! You all must be buying flea and tick treatments for your kitties and pups. However you may be compromising on other products to balance your budget, isn’t it? Now you may not have to compromise on any of the treatments for your pet as we supply the best brands at highly discounted rates. And, to let you save more, we are giving a discount of 20% on each and every product. This offer would be great for buying yearly supplies of heart wormers and flea treatments before summer hits with a price rise. Get the prime brands like Frontline Plus, Heartgard Plus, Drontal, Sentinel, Bravecto and many more at unbelievably low prices plus Valentine’s Day discount and free shipping. 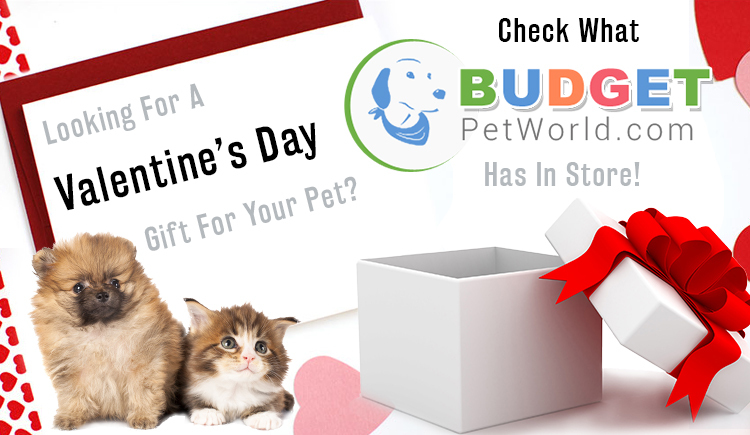 Save both, your money and pet’s health on this Valentine’s! What’s new @ Budget Pet World? This offer may be extremely beneficial for guardians having more than one kitty or pooch. We are offering 1 Preventic tick collar absolutely free with 6 doses of Frontline Plus and 2 collars with 12 doses of Frontline Plus. Isn’t this the offer that should not to be missed? Safeguard your pet’s healthy being with our much appreciated products and save big! Well?? Won’t a security of your pet’s health be “The Gift” this Valentine? You can always assist it with a box of treats or toys though. 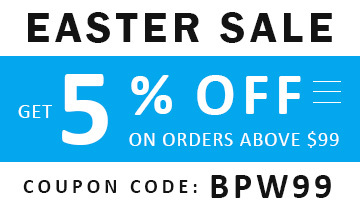 We welcome you to grab the best of our discounts this whole week! Happy valentine’s Day!